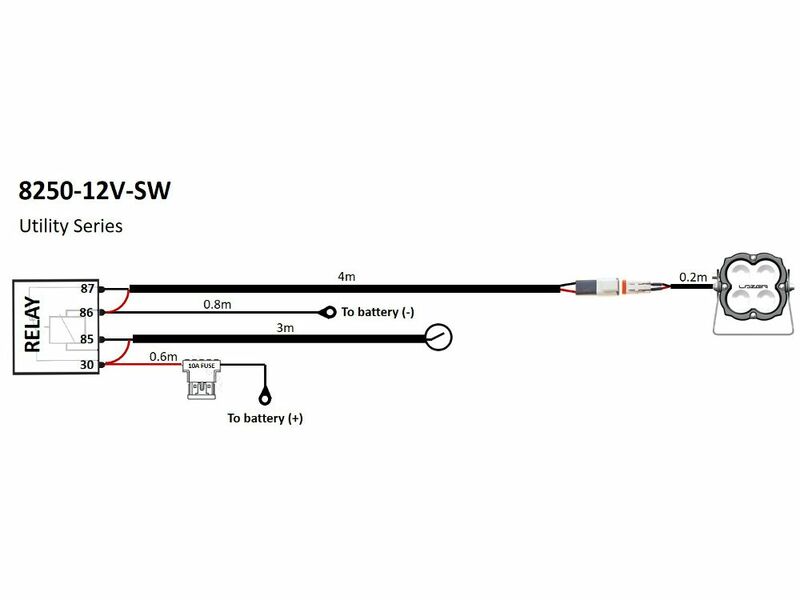 The ideal solution for wiring your Utility Series lamp. 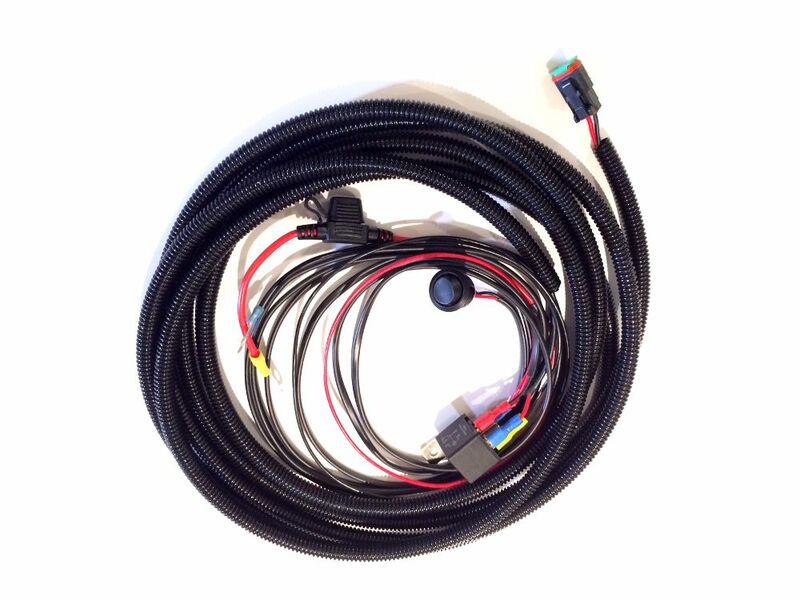 The setup is quick, easy, and reliable with Deutsch connections and no configuration procedures. The kit features a 12V relay, 10A fuse, a battery terminal at one end, and 4m of flex, and allows for the operation of specific lamps via an on/off switch which can be mounted inside your vehicles cockpit.